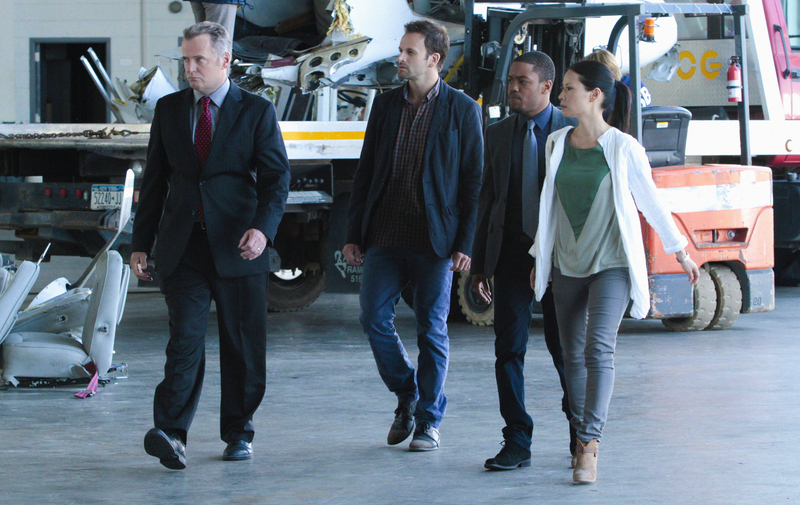 Using his powers of deductive reasoning, Sherlock (Jonny Lee Miller center), Joan ( Lucy Liu right), Detective Bell (Jon Michael Hill, ) and Gregson (Aidan Quinn, left) try to prove mechanical error was not to blame for a plane crash on a New York City beach. Photo Credit: GIOVANNI RUFINO/CBS © 2012 CBS. All Rights Reserved.